(ex-showroom Mumbai). This powerful biturbo V8 was unveiled by Joe King, Head, Audi India and is available at all Audi dealerships across India. "We started the year with the historic achievement of becoming the first-ever luxury car manufacturer to achieve sales of 10,000 units in a year, and now we follow it up with another momentous step - introduction of the most powerful Audi model from our product range - Audi RS 7 Sportback in India. Embodying our philosophy of 'Vorsprung durch Technik', the Audi RS 7 Sportback is Audi's superlative illustration of sportiness, progressiveness and sophistication - combining the strengths of a large, five-door coupe and a sportscar. 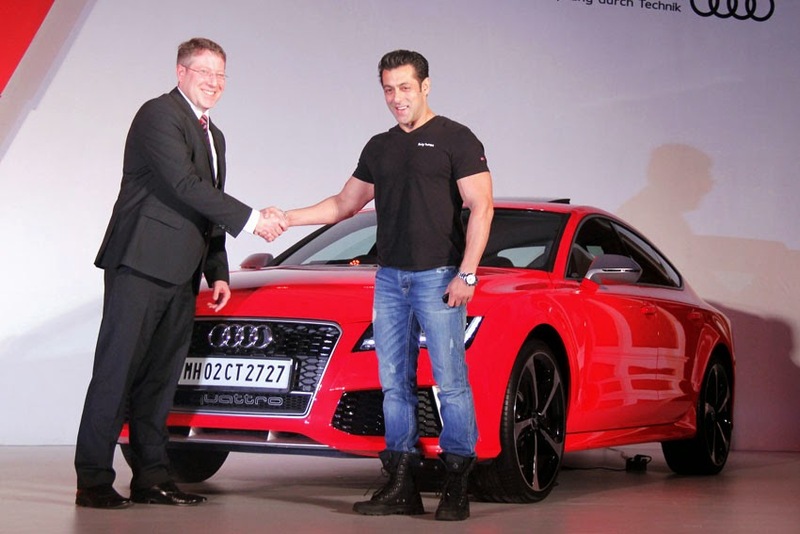 After the overwhelming response to our Audi RS 5 which further boosted our leadership in the luxury sportscar segment in India, we are confident that the Audi RS 7 Sportback with its aesthetic design and impressive sportiness would establish new benchmarks in the performance sportscar segment in India," said King. The abbreviation 'RS' represents many things: the most powerful engine within a model line, quattro permanent all-wheel drive, the pinnacle of dynamic performance, an understated look and comprehensive everyday practicality. The Audi RS 7 Sportback, the latest model from quattro GmbH, combines the power of a sports car with the elegance of a large, five-door coupe. The sprint from 0 to 100 km/h (62.14 mph) takes just 3.9 seconds; an option enables a top speed of 305 km/h (189.52 mph). Despite the supreme power of the biturbo V8, which produces 412 kW (560 hp), the Audi RS 7 Sportback consumes on average just 9.8 liters of fuel per 100 km. "With LED headlights and rear-lights, RS-specific driver information system with shift light, MMI navigation plus with MMI touch and Bose sound system standard and numerous innovative assistance systems available as options, Audi RS 7 Sportback will thoroughly delight our customers and auto enthusiasts," added King.